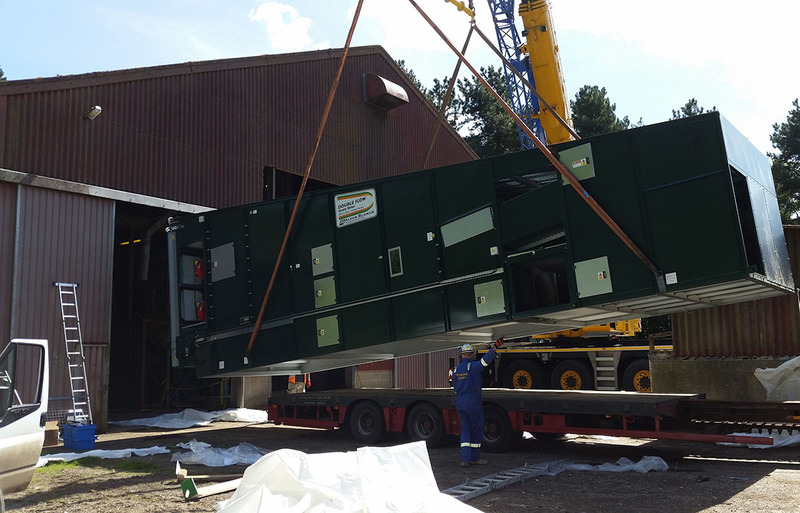 Replacement Alvan Blanch dryer - Bennett & Co Ltd. 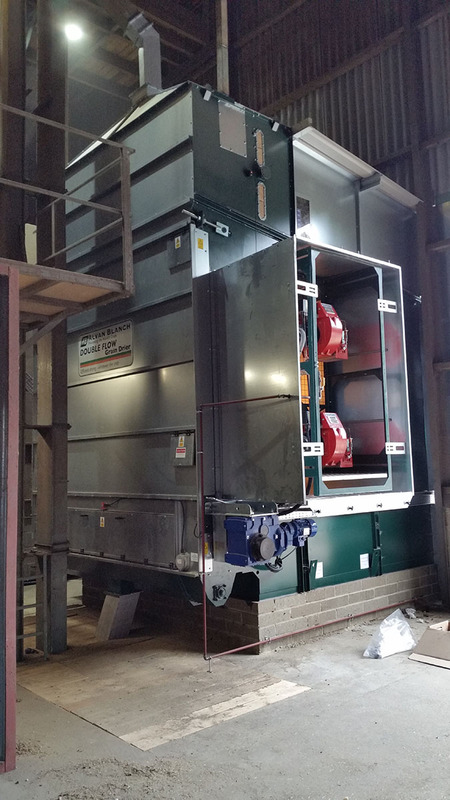 When replacing Alvan Blanch dryers in the past Bennett and Co has found that improvements in design and efficiency mean that the space required for the dryer is smaller. This proved the case when replacing a 25tph over 30-year-old dryer with a new 28tph DF25000S double flow continuous flow dryer. In this case the dryer was shorter which meant extending the existing dust box to meet the rear of the new machine. 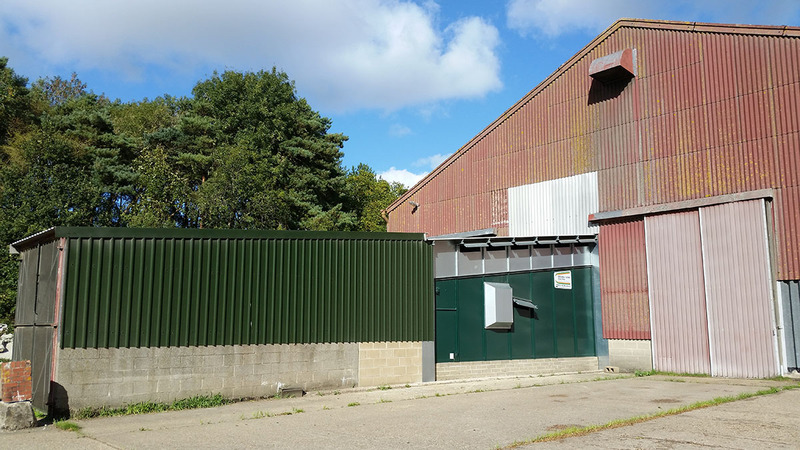 In addition, the new dryer is not so tall and therefore the hole in the side of the grain store through which the front of the dryer pokes had to be partially clad once the dryer was lifted into place. 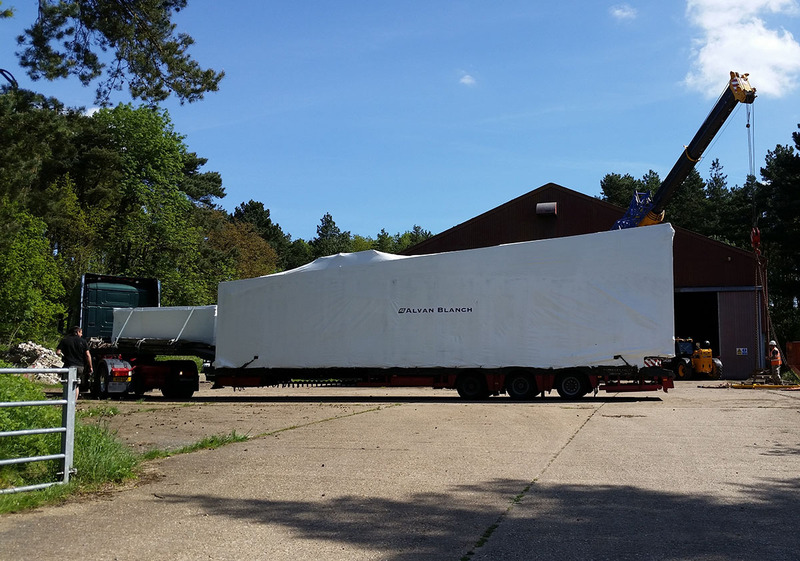 Installing an Alvan Blanch is a simple job of lifting the body of the dryer into place before cladding the roof of the dryer and adding various motors and bits and pieces. The larger hot fan motor on the new dryer is started by an inverter, therefore enabling the existing electricity supply to be used. 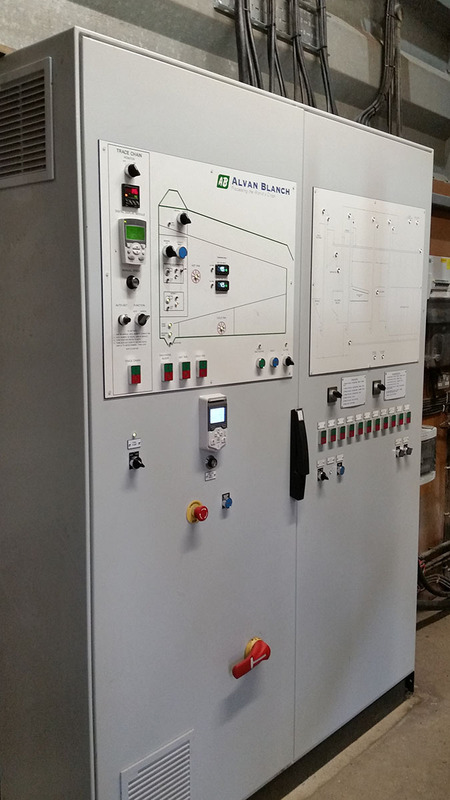 In addition, Alvan Blanch provided a new control panel for both drier and plant combined. 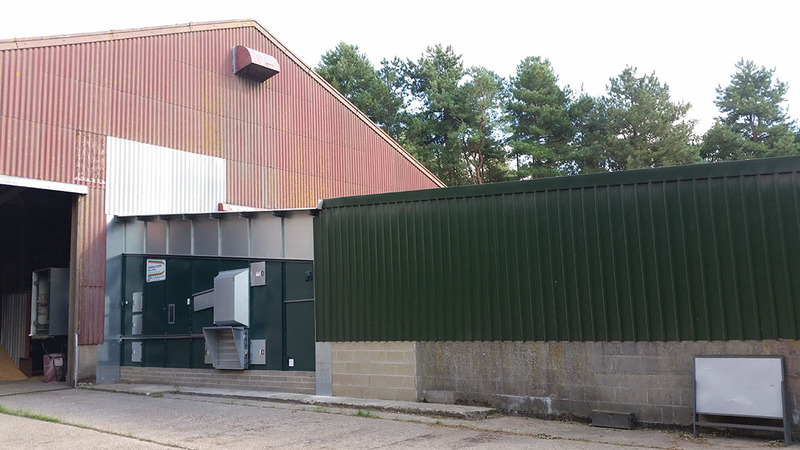 As well as the new dryer a new Perry aspirator cleaner with a short inclined conveyor to feed it was installed in the top of the plant to clean up the incoming crop and reduce the dust levels in the dryer area. A new dust box for the aspirator cleaner as well as the existing dresser and dust extraction was built too.